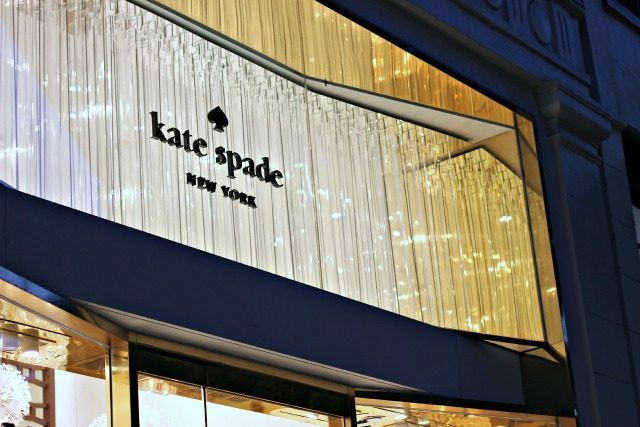 I was so excited the other day to finally make it to the “new” (opened seven months ago) Kate Spade New York flagship on Madison Avenue. It was even better than I imagined-every nook and cranny was bursting with bright color, gold, glitter, confetti, and other girly delights. 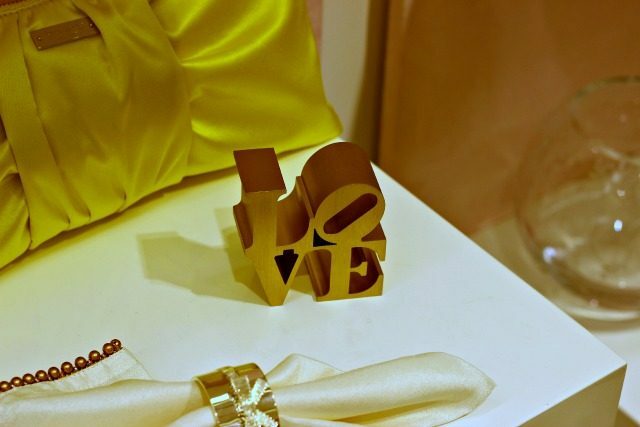 The store filled four floors-the first for jewelry and accessories, the second shoes, the third clothing, and the fourth floor-my personal favorite-for home goods. 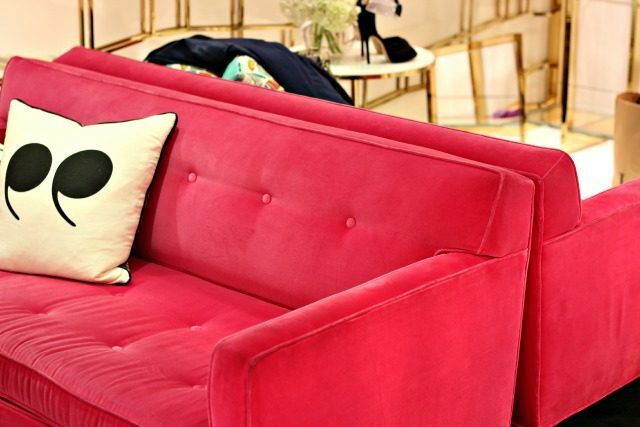 Hot pink velvet couches for sitting down to try on shoes. 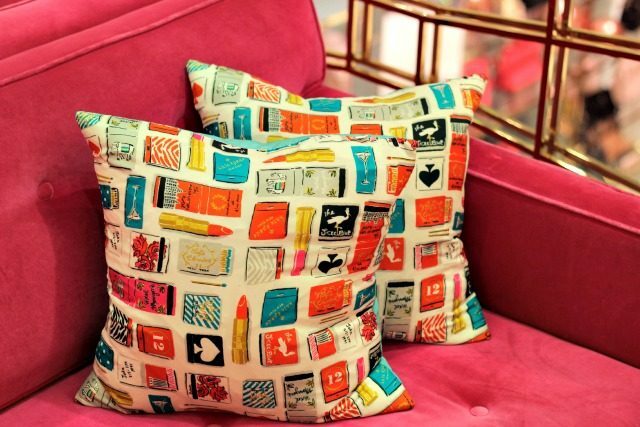 Another pink couch in the home section-I’m okay with that. And gold leaf walls? Yup, that works! Black and white dot and striped straws – need. 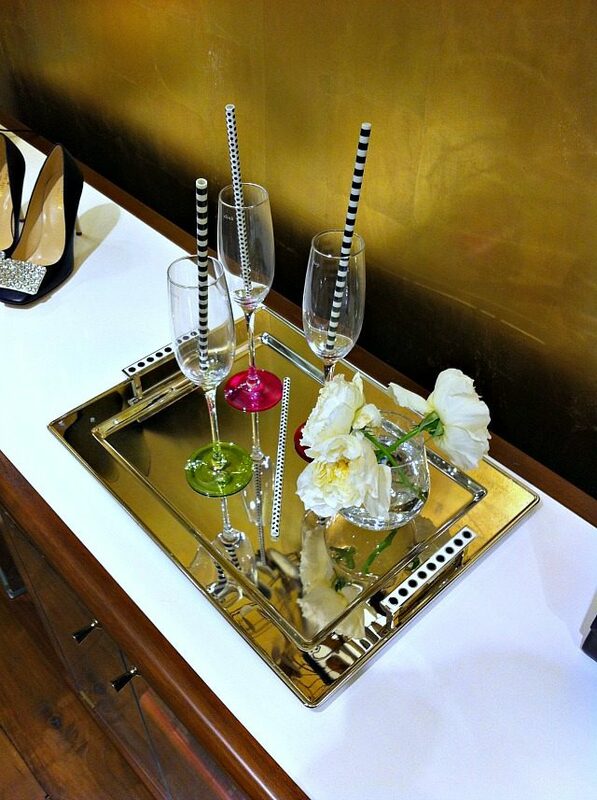 Love the mirrored tray too, which looks especially gorgeous because it’s reflecting the gold walls. 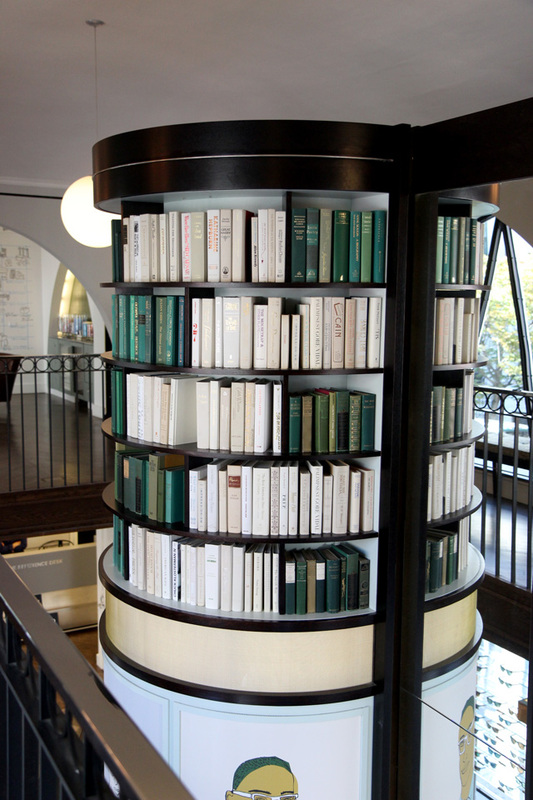 Books in shadow boxes-very cool idea! 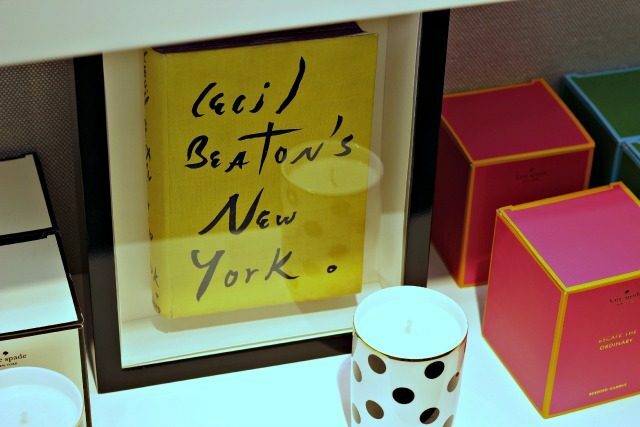 Love the Escape the Ordinary candle too. 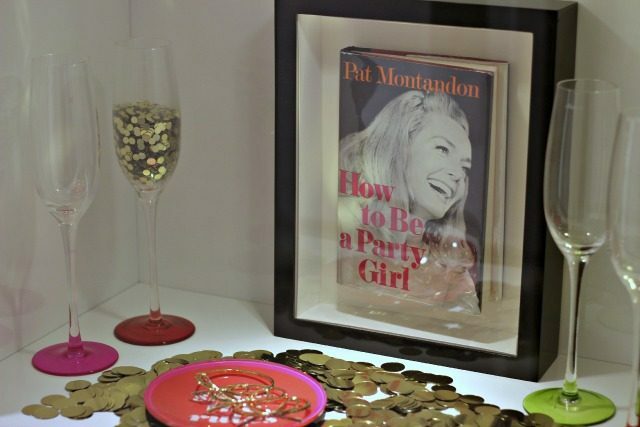 Another book in a shadow box-plus confetti everywhere! 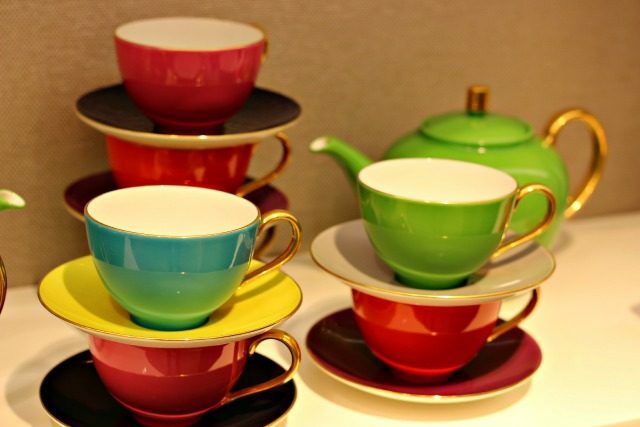 And how cute are those champagne flutes with the bright colored bottoms? 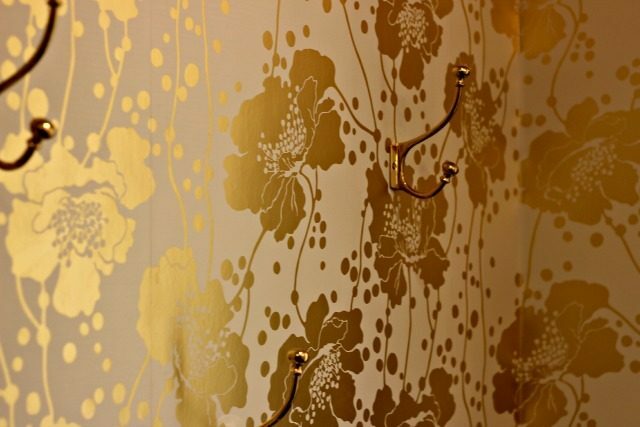 Gorgeous metallic wallpaper in a dressing room. Died for the card catalog on the first floor. And look at that gold-confetti-tiled staircase! Heaven. 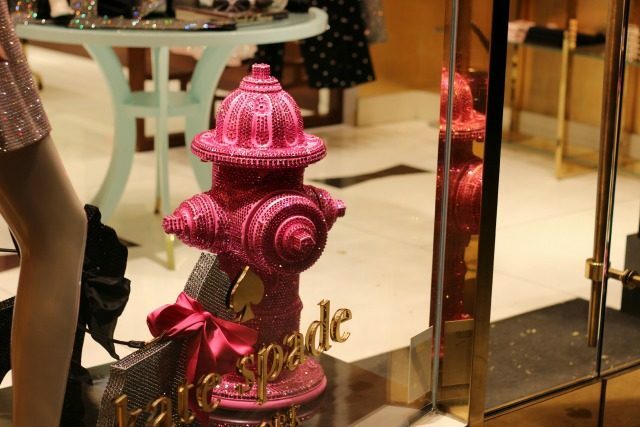 A Swarovski crystal encrusted fire hydrant in the window to celebrate the KSNY current holiday collaboration with Swarovski. 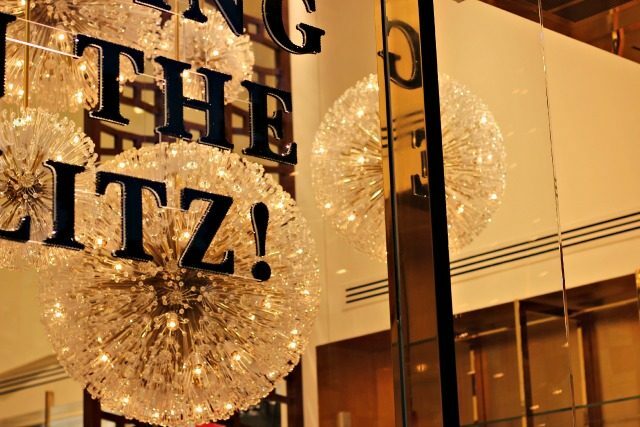 Putting on the glitz! 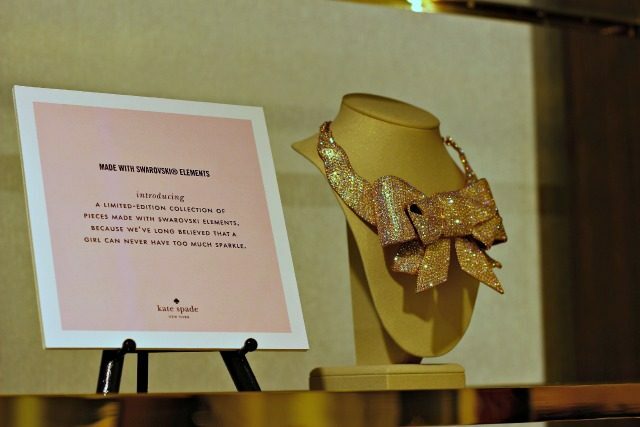 Nobody does that quite like Kate Spade. I love everything about this store-it was just an absolute delight to walk through and I see many more visits in my future. Oh my gosh, this is perfection– that metallic wallpaper! Thanks for sharing all the pics… I'll have to try and make it there next time I'm in NYC! Everything about this is perfection! 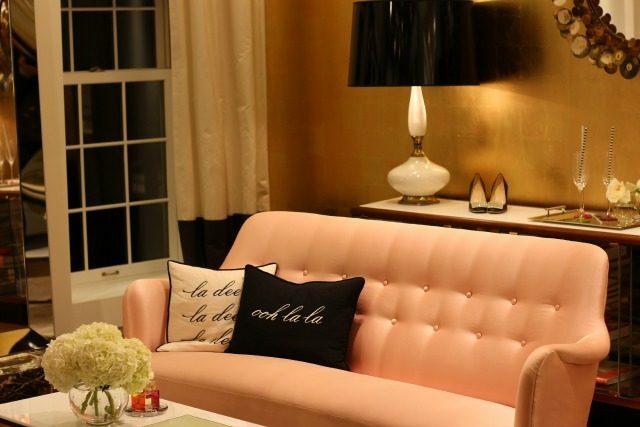 The pale pink couch with the gold walls? I DIE! Also love the witty neon sign. Ah–when can I move in?! Too much pretty in one place! That place would be so dangerous for my wallet! Can they just come do my whole house? :). Those glitter pumps are to die! 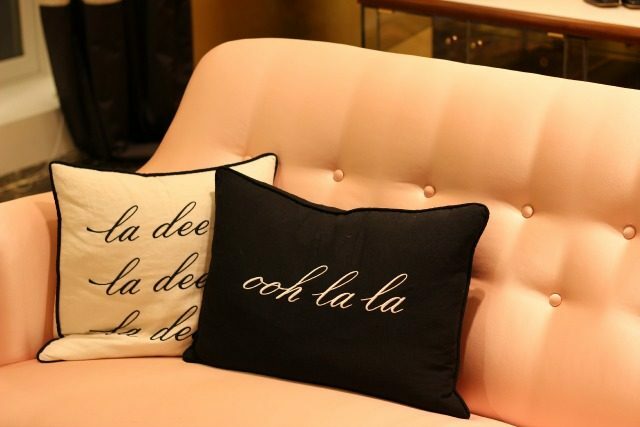 I love the light pink couch and everything else! The pictures are beautiful! I'd like that store to be my next apartment! ha I seriously want everything! i want to live there. i have been dying seeing all the pictures. 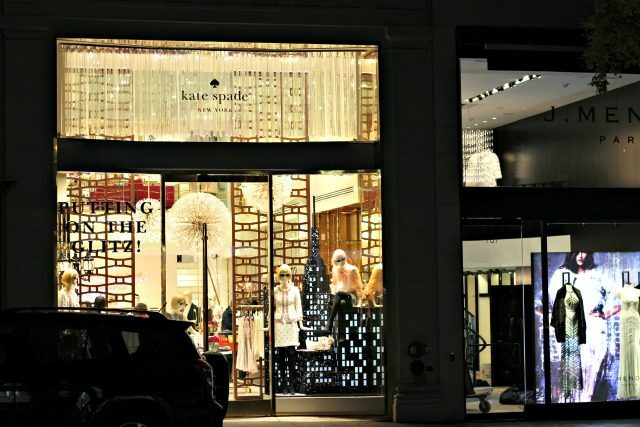 I am possibly going to NYC soon, and I think I might check out the Kate Spade stores after seeing your pictures! 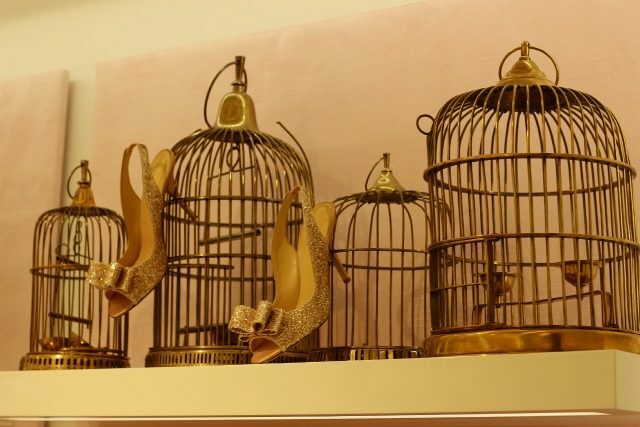 Those shoes are to die for! 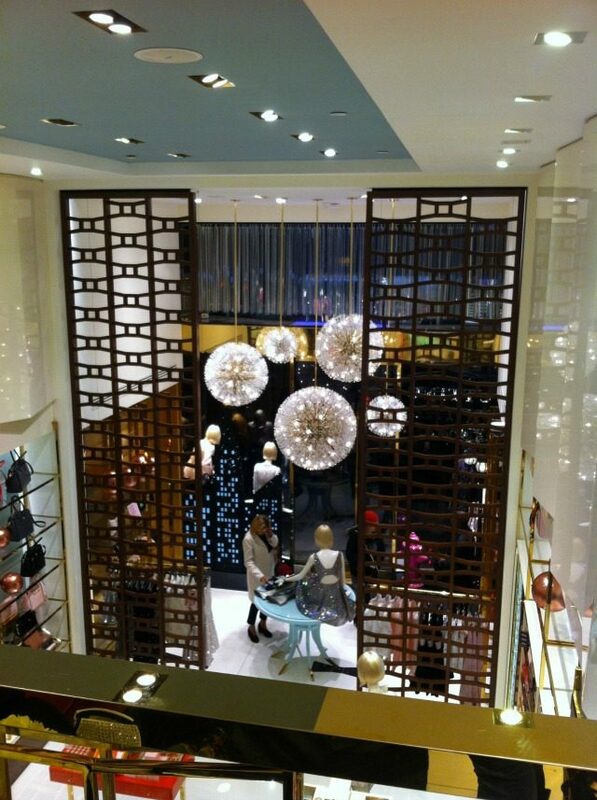 What a pretty store! You definitely should, it's just such a pretty place to walk around in! I know, I love all the pink and gold! Heaven. I agree Hollis! I'm in love with everything about this place. Totally! Such a fun shop. I want to live there too, wish my apartment looked just like this! I know, I think it's my new favorite store in the city! Definitely the prettiest. Great idea, you'll love it! Such a fun, girly store. 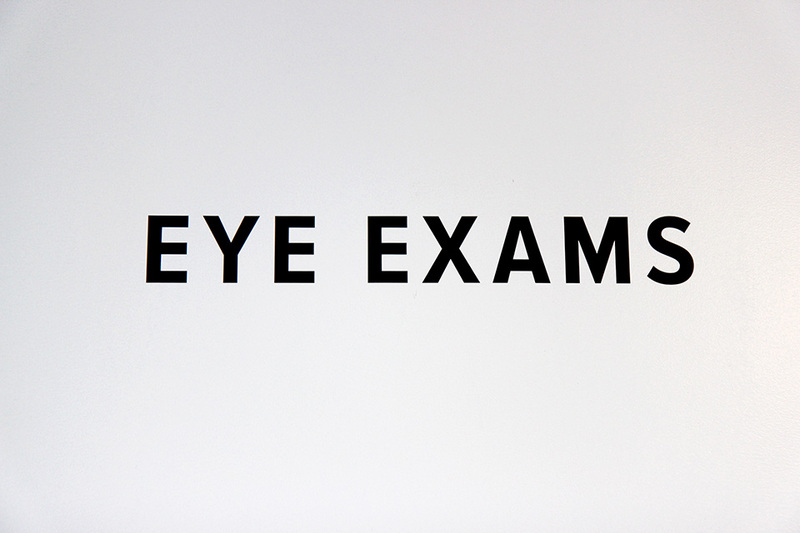 Tell me about it…very dangerous! Oh my gosh, I know…those shoes! I love them. I agree…all of their stores are gorgeous, and this one especially was just over the top gorgeous. Love the neon sign too! 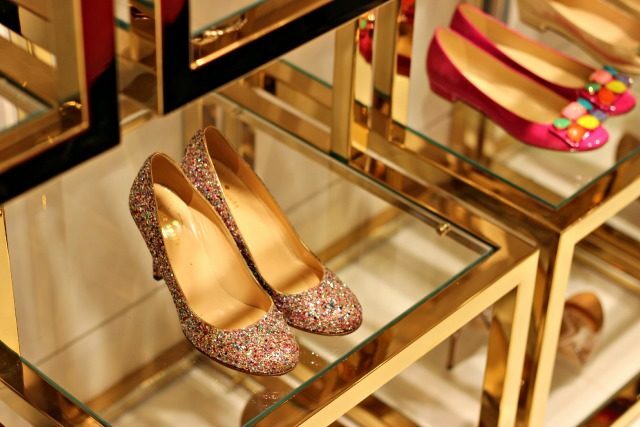 OMG I know…the glitter pumps are everything! Thank you! 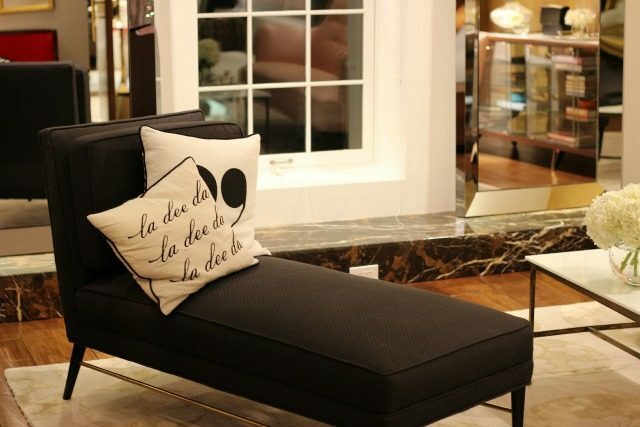 Gosh, I know…those couches are just perfection. I'm with you! In love with all of it.